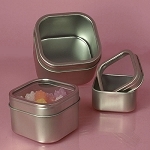 Large Square Cans with windowed lids are ideal for showing off candy. 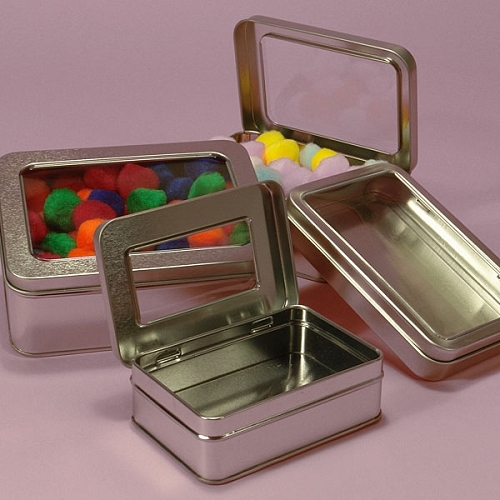 Fill each of the 8 ounce tins with smaller sized candies and place on your counter as an impulse item. 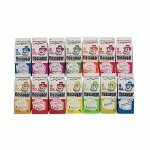 Your customers are sure to buy a few! Planning a wedding reception? 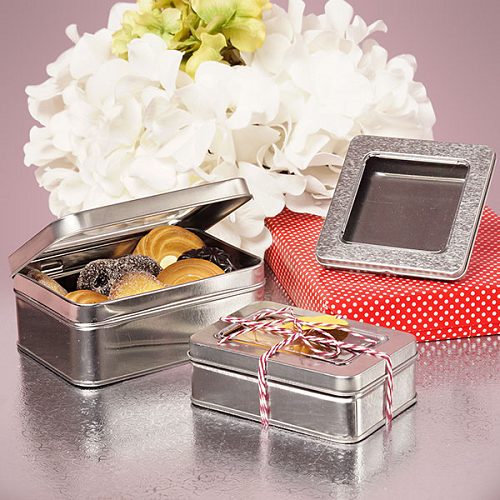 Use these sturdy steel tins as thank gifts for your family and friends. Add candy or small pieces of paper with handwritten notes on them. Your guests will be smiling for years to come. Order your 24 count today. Please Note: Does not have an internal plastic lining, therefore caustic substances may cause the steel to rust.